The first was that there would be no Second Coming in 2015. Well, how wrong could I be! As we all know Jesus returned on September 13th, just as John Hagee hinted he would be. It’s been so great, hasn’t it, living in Hell / God’s Kingdom on Earth (delete as appropriate) since that time. Fantastic. I’m so pleased to have been wrong about this one. 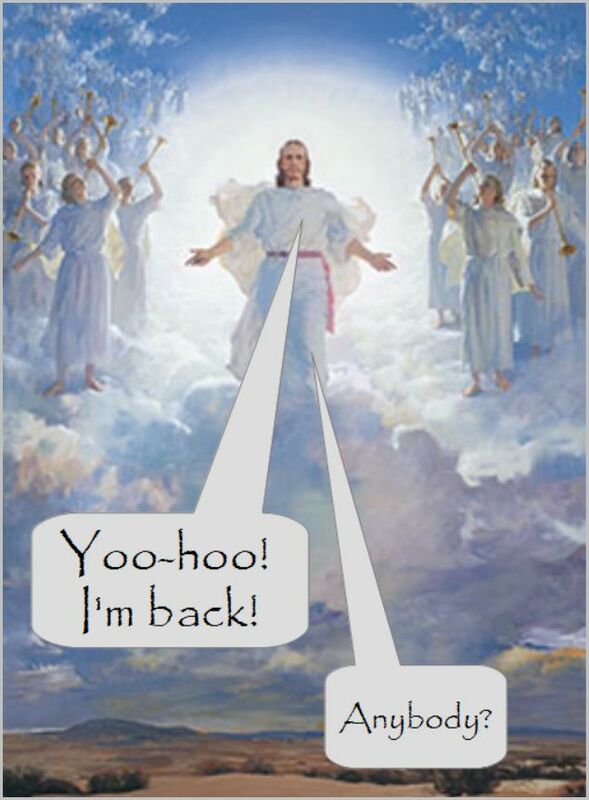 On the other hand, maybe what I said last year still stands: Jesus won’t be back this year. Just like he wasn’t back in 2014, 2013, 2012… 1985… 1914… 1868… 1497… 1000… 446… 35. Just think of all those years – count ’em, nearly two thousand – when he’s failed to return so far. Actually, he promised he’d be back while his followers and those listening to him were still alive, around AD30 or thereabouts. Safe to say he’s not coming back at all, just like dead people don’t. Not in 2015, not ever. Of course it still stands. As ever Christianity fails to deliver. That hasn’t stopped True Believers™ from telling us that he’ll be back very, very soon. Which was prediction number 2: Christians will go on believing that Jesus is going to return any day now. I gave up collecting examples well before the end of the year – there were just too many – but here’s a few of them: here, here, here, here, here, here and here. Will the gullible Born Again ever come to their senses and stop listening to idiots like these? (Nope). Prediction 3. There’ll be no natural disasters or human calamities as a result of gay marriage. There have been lots of disasters and calamities during the year, but here’s the thing – natural disasters have natural causes, not supernatural ones, and similarly, human calamities have human causes. Not one of the events this year (or any other) was the direct result of gay marriage. This hasn’t stopped the religious from claiming – as I predicted they would in prophecy number 4 – that disasters and calamities are God’s punishment for gay marriage; here, here , here, here, here, here and here, for example. Prediction 5: More than one prominent Christian will call for the execution of gay people. Yup. Here are those loving men of God doing just that (and here, here and here too). Jesus would be so proud. Prediction 6: Christians in the west will claim they’re being persecuted when they’re being expected to treat others fairly and equally, and not to discriminate against them. Yes, I know Christians are persecuted in some parts of the world, but the moaners I’m talking about are only focused on their own self-serving, self-inflicted ‘marytrdom’. Again, there are just too many of these to link to them all, but here are a few (and here, here and here). Prediction 7. Christians will respond to criticism with clichés like ‘they wouldn’t dare say that about Muslims’… ‘Christians are the last group who are fair game’… ‘It’s time for Christians to speak out’… ‘Stand up for God’s standards…’ etc. Yes, predictable in more ways than one. Prediction 8: Christians will continue to dismiss and disparage anyone who doesn’t share their views, especially atheists. Look out for ‘atheists have no morality’,’the fool hath said in his heart there’s no God’ and ‘atheists want to oppress Christians’ occurring with tedious regularity. And they didn’t disappoint: here, here, here and here. Prediction 9: There will be more revelations about the abuse of children by church ministers. Of course there were. Christians may be new creatures in Christ but that doesn’t stop some of them behaving in the same old despicable ways, God love ’em. Ditto number 10: Church hierarchies will attempt to cover up the abuse of children by their ministers. And here they are at it. The body of Christ certainly seems to have an unhealthy interest in the bodies of others. Still, they always ever so modestly cover up afterwards. Prediction 11. There will be the usual manufactured ‘war on Christmas’. Ho-hum. And you can guess who did the manufacturing. And finally I offered number 12: these predictions have far more chance of coming to pass than any of the so-called prophecies of Bible. And do you know, they did. That’s because none of the Bible’s predictions have ever come to pass – not those purportedly about Jesus himself, nor of the second coming, nor the judgement of sheep and goats, nor God’s Kingdom on Earth – and (here’s another prediction) they never will. So, another year of empty promises, failed prophecies and superstitious fantasy in the wonderful, wacky world of religion. May you all be safe from the effects of faith and fundies in the one that lies ahead. Glory to God in the highest, and on earth peace, good will toward men. Luke 2.14 as rendered by the King James Bible. Whatever happened to that peace? There hasn’t been peace on earth ever since the angels were made to herald Christ’s birth with these words. Some of that absence of peace – the conflicts and wars – has been the result of religion, including that of Jesus himself. Then again, he did contradict the angels when he said he hadn’t come to bring peace but a sword and for once, he was right (Matthew 10.34). So what can the angels have meant? More to the point, what can those who created these words to put in the mouths of non-existent beings have been thinking? Is their declaration a promise? A prophecy? Something to look good on Christmas cards? Other translations of Luke 2.14 avoid the whole peace on earth shtick by watering down the statement: ‘Glory to God in the highest heaven, and on earth peace to those on whom his favour rests’ reads the NIV. Now only those whom God ‘favours’ are granted peace, which presumably means only Christians, and it’s now a vague sense of well-being (complacency? smugness?) that isn’t of much use to the world at large. Certainly other New Testament writers, the creators of John’s gospel and the letter to the Ephesians for example, interpret ‘peace’ in this very limited way. Apart from the fact this is a specifically Jewish prophecy that has nothing to do with Jesus – which is why most of the titles don’t really apply to him (nobody has ever called him ‘Wonderful Counselor’ or ‘Everlasting Father’) – there again is the idea that he’s somehow connected with capital-letter Peace. He’s a Prince of it, no less. Of course; it’s all end time stuff! We should’ve guessed. Long term peace on the Earth, predicted by the angels and, ostensibly, by Isaiah is going to be in the future, after Jesus returns to establish God’s Kingdom on earth. Have you noticed how it’s always in the future? Everything Christianity offers is going to happen later: heaven, eternal life, the second coming, the rapture, resurrection, God’s Kingdom, the lion lying down with the lamb, the end of war, everlasting peace. 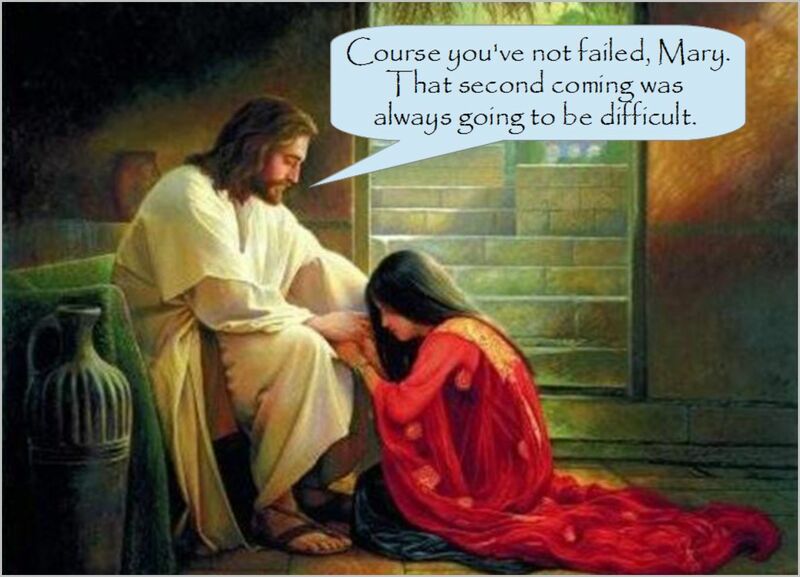 Not in Jesus’ own time as he thought; not in Paul’s, not in the gospel writers’, not any time since, but always just around the corner, any time now, soon. Never in the here and now. Peace on Earth, like all those other promises, is always just out of reach, like the pot of gold at the end of the rainbow – the closer you think you might be to it, the further it moves away. A friend added one of those clever posters to Facebook recently. It said, amongst other things, that it wasn’t okay to ‘shame’ religion. I couldn’t disagree more. Scams must be debunked and the sham of religion’s empty promises held up to the light of reality. None of the things that the Bible says will happen is going to; not now, nor in an ever-elusive future. A happy and peaceful Christmas to both my readers. 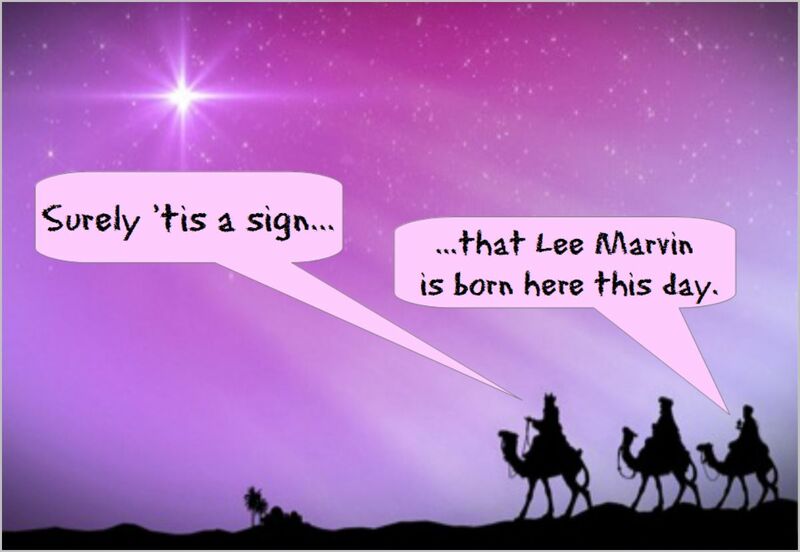 It’s that time of year again, when we’re expected to worship the baby Jesus and thank God for sending him. I do usually go to a church carol service with friends and sing along for nostalgic reasons, while marvelling at folk’s willingness to believe the fairy story. Plus, there’s always a drink or two afterwards to look forward to. What would Jesus have made of it? The stories of his miraculous birth have been tacked on to the beginning of two of the gospels but even in Matthew and Luke there is no indication that he was aware of them. Neither he nor his mother mention them when it looks like aspersions are being cast on his legitimacy (eg: Mark 6.3; John 8.41). You’d think one or other would have done so as sure-fire proof that he was an emissary from God. In fact, apart from the two conflicting accounts in Matthew and Luke there are no other mentions of his spectacular nativity in the Bible; Paul, writing closest to Jesus’ lifetime, doesn’t refer to it even when he’s arguing in 1 Corinthians 15.42-52 that Jesus came from Heaven. How do we account for this? 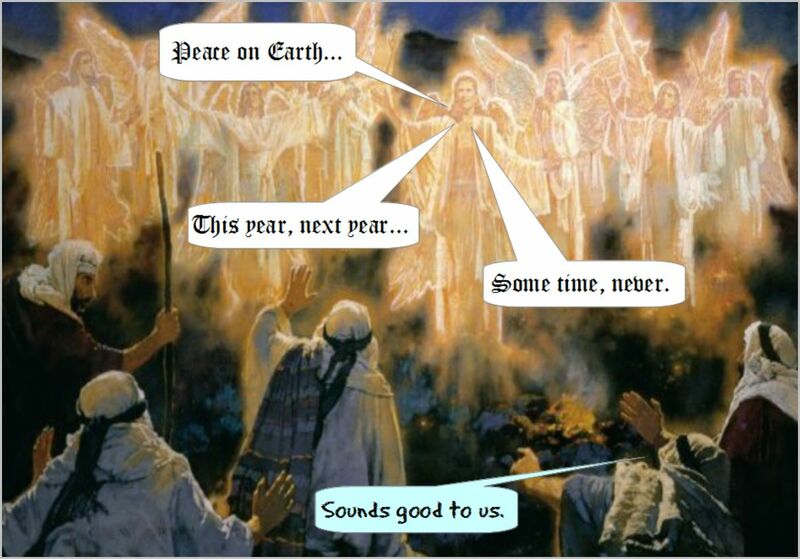 The obvious answer is that the nativity narratives are much later inventions. We know they were not included in Matthew and Luke’s shared source material because the two are significantly different (as I discuss here). However, by the time these gospels were being compiled, in the 80s and 90s, such stories had begun to circulate – then as now, people liked origin stories for their super-heroes – and two such tales were incorporated into their accounts. The birth stories are invention, heavy with symbolism and designed to show that Jesus was not illegitimate but spawned by God in a supposed fulfilment of prophecy. While the adult Jesus was a egotist who thought he was going to the end the system in which he lived (Matthew 24.34-35) and then rule the world with his mates (Matthew 19.28), he didn’t require that his followers worship him. It’s true that, like any other cult leader, he accepted others’ adulation when it was offered, especially when it was offered by women; one anoints him with expensive perfume in John 12.13, while another Mary – they were evidently short of female names back then – fawns over him in Luke 10.41-42. However, he doesn’t make it part of his mission to demand the worship of others. When early Christians started to think of Jesus as a supernatural-being worthy of adulation, they devised statements about how marvellous he was (Colossians 1.15-20 may be one such) but worshipping him through song does not appear to have been part of their agenda. Modern Christians’ use of hymns and songs to tell Jesus how much they love him is, then, alien to the faith as it was originally practised, and to Jesus himself. 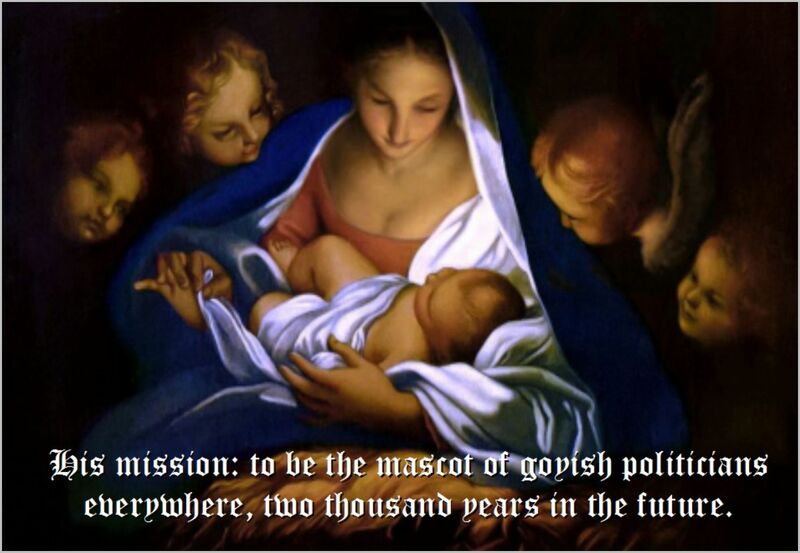 The carols that’ll be sung this Christmas have no equivalent in Jesus’ life nor in that of his earliest followers. Even if he were hanging around in Heaven somewhere, which of course he isn’t, the last thing he’d want to be subjected to would be some badly sung Victorian carols telling him what a great guy he is. He was in no doubt about that when he was alive. 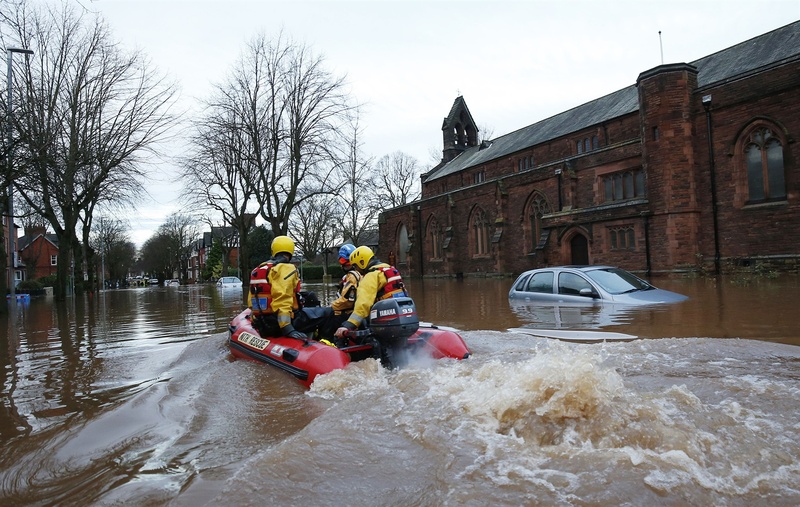 Last weekend the city in which I live, and where I was born, was flooded during storm Desmond. This is the second time in ten years that this has happened to parts of it. Flood defences couldn’t hold back the deluge and some of the same areas that were affected in 2005 were flooded again. People lost property, possessions and livelihoods. There has been a phenomenal response to the disaster from so many people from all over the city and beyond it; a great outpouring of kindness and practical help. There has been, as there always is at times like these, a tiny minority who have sought to exploit the situation for their own ends. But by far the greatest response has been one of support. There is such resilience and the demonstration of real love for other people. In none of the reports about the storm, the flood and its aftermath have I heard anyone mention God. He hasn’t been blamed or appealed to; there haven’t been any meaningless platitudes about him really caring or claims that he’s punishing those affected (though some UKIP clot did say it was all somehow the fault of Syrian refugees.) While church groups are undoubtedly involved in the clean-up and helping people, it is greatly encouraging that no-one has invoked the name of the Lord. It shows how much he has become an irrelevancy; he is an irrelevancy. Even if he were not, it is practically impossible for Christians and others of a religious disposition to explain why a supposed loving God allows such indiscriminate natural disasters and why he’s always conspicuous by his absence afterwards. Best to do what the good folks of my town have done and ignore him (or the idea of him) and get on with the business of helping one another. We have only one another; there’s no-one else going to come to our aid. There’s still a long way to go here, but it’s encouraging and heartwarming to see people helping each other without the need for any God. I have never felt sadder for my city and yet never more proud. Remember the old hit Spirit in the Sky? It had the line, ‘never been a sinner, I never sin, ‘cos I got a friend in Jesus’. It doesn’t seem likely, does it? I don’t mean that Norman Greenbaum, who wrote the song, never sinned (he was Jewish, not a Christian) but that friends of Jesus are entirely sin-free. The idea that Christians never sin would be preposterous. No one who abides in Christ sins; no one who sins has either seen him or known him. Those who have been born of God do not sin, because God’s seed abides in them; they cannot sin, because they have been born of God. Christians love to say that awkward bits of scripture like these have been taken out of context, so please feel free to read them in context – you’ll find they say exactly the same thing. What John is claiming – without a glimmer of irony – is that anyone who really knows God/Christ ‘cannot sin’. So next time you see Christians shooting people at family planning clinics, committing adultery, lying or even just judging others, remember they’re not really sinning. Yes, they may be behaving immorally, uncharitably or despicably but they are most definitely not sinning. That would be impossible because they’re incapable of it. However, Christians are all too aware that they sin (that’s their choice of word, by the way; I’d prefer to say they sometimes – often – behave as badly as those of us who are not ‘saved’.) So where does this leave us or, more importantly, them? How do they square their capacity for sin with what the Bible says here? Does their behaviour demonstrate that God’s Word has it wrong? Or are they not really Christians, not really people who ‘abide in Christ’, not really born of God? What a dilemma. Either the Word of God™ is wrong here, like it is in so many other places, or Christians are not as saved as they like to think they are. Perhaps it’s both.